Hi Stampers, Happy Wednesday!! It's a short week and I'm looking forward to the long weekend!! 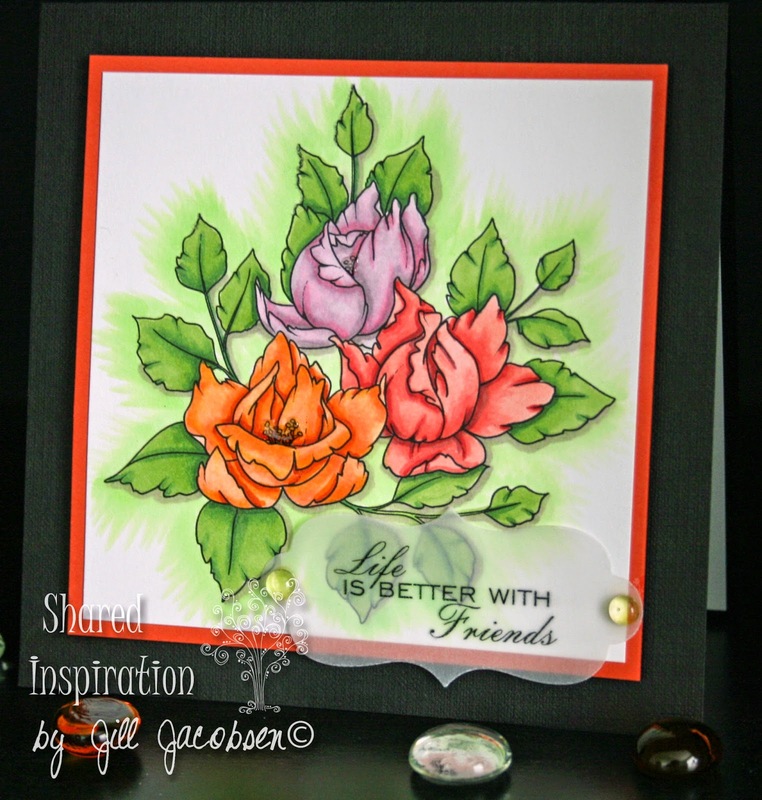 This is a new digital stamp set from Beccy Muir, Beautiful Friendship, that was just released July 1st. I haven't had my Copics out in a while and really played, so I took the opportunity with these beautiful flowers of friendship. I couldn't decide what color for the roses, so I ended up with three different colors. To finish it off I used the YG11 and just gave it a light green halo around the image to ground it some. I love using the darker shades of Copics to make the flowers dimensional! I used some Glossy Accents on the stamens of the flowers to give it a little pop. The sentiment was printed on vellum and cut out with a Spellbinders dies and attached with Dew Drops. Life truly is better with friends....and this card is going to someone special!! For the inside I stamped and cut out one of the individual flowers.